Star Clippers is offering savings of up to 60 percent on six Grand Voyages aboard Royal Clipper, Star Clipper and Star Flyer in 2013. 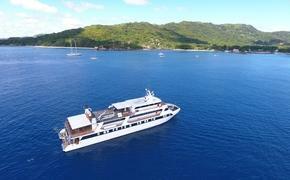 The Grand Voyages range from 10 to 17 nights and sail between April and August. Eligible itineraries include sailings in northern Europe, the eastern and western Mediterranean, and North Africa. The 170-passenger Star Flyer will operate a 10-night roundtrip Stockholm itinerary, departing May 25 and June 4, with calls at ports in Estonia, Russia and Finland, including an overnight at St. Petersburg, Russia. Star Flyer’s 13-night itinerary departing May 12 sails between Hamburg and Stockholm, calling at 14 ports in Denmark, Sweden and Germany. The ship’s 14-night itinerary from Hamburg to Lisbon departing Aug. 24 explores six countries, including the Netherlands, Belgium, France and Spain. At 17 nights, Star Flyer’s longest Grand Voyage overlaps with the Aug. 24 departure and sails from Ostend, Belgium, to Malaga, Spain. The cruise embarks Aug. 28 and makes calls in France, Spain, Portugal, Morocco and Gibraltar. Fares begin at $2,006 for the 10-night sailings per person, double occupancy, cruise only; $2,580 for the 13-night cruises; $2,524 for 14-night sailings; and $2,974 for 17-night cruises.